We were doin’ it for the cause during this installment of The Five Count as Fat Mike joined us for an exclusive interview! 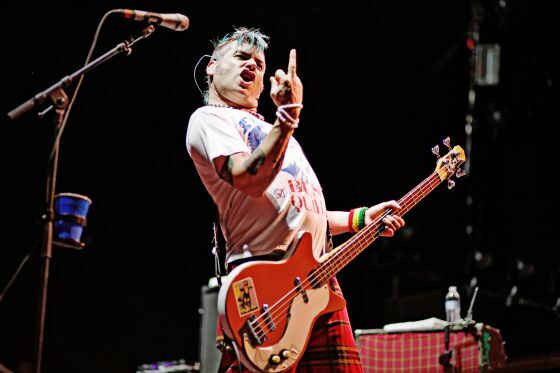 Fat Mike is best known as the bassist and vocalist for the band NOFX and bassist for the band Me First and the Gimme Gimmes. He’s also the founder of the record label Fat Wreck Chords. During the show he discussed his long history with NOFX, the inner-workings of Fat Wreck Chords, and his new musical Home Street Home. After that we played more NOFX than anyone could stomach. During the rest of the show we argued about legless wizards, explained the dangers of mixing fat dudes and phat dudes, chastised people who buy Rod Stewart albums, and tried to determine how may times Ton exclaims “What’d’ya mean?” during every episode. We lost count at 1,000! Don’t forget to see Fat Mike and NOFX at The Myth in St. Paul on Aug. 18th as part of the “25 Years of Fat Wreck Chords” show.